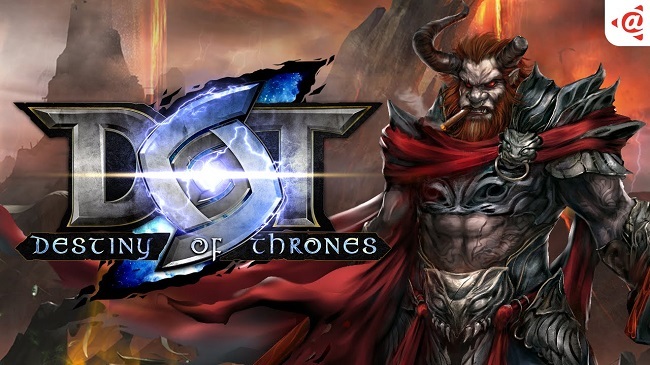 Destiny of Thrones (DOT) is Playpark’s 1st mobile Multiplayer Online Battle Arena. DOT features over 50 diverse characters based on culturally rich mythologies, each with various levels of customization – ranging from hero skins, weapons, skills &amp; special talents. Players will be spoilt for choice and guaranteed many hours of dynamic &amp; challenging battles that are full of surprises in real time 3v3 and 5v5 game modes. Players familiar with PC MOBA games can easily jump in on the action with DOT due to the ease of playing the competitive game anytime and anywhere on their mobile devices. DOT allows players to strategize and coordinate with their teammates on levels akin to Sun Tzu’s Art of War within the game. The gallery of stunningly elaborate graphics and character designs enhances the immersive and addictive gameplay within the life-like fantasy worlds &amp; environments. Playpark is very pleased that it received favourable response during the closed-beta period for DOT in 2015. The game will be available in a variety of languages that includes Chinese, English, Thai, Vietnamese, &amp; Indonesian for Malaysia, Singapore, Thailand, Indonesia, Vietnam &amp; Philippines. Battle at your fingertips like never before with DOT.